Who co discovered, phosphocreatine (PCr) and adenosine triphosphate (ATP) – that store energy in our body? Cells found in Egyptian mummies. Darwin’s contribution apart from theory of Evolution? A British-Indian scientist below is known for his enzyme kinetics theory different from the Michaelis–Menten equation? Who is founder of IISc ? Where do we came from? Who we are ? Where we are going? These questions arise time to time before, and answer to these questions we always in search of, but when science and particularly Charles Darwin’s term “Evolution” came in to picture the religious belief questioned. From there finding answer to these questions is become a curiosity. So we are trying to understand what is evolution? Evolution is one of the most important concepts in the Biology. In fact Biology simply does not make sense without Evolution. Evolution is the idea that all living things arose from a common ancestor in the past and that life continues to diversify today as new species. Evolution explains why we can classify organisms into different groups. Evolution explains why the cells of all organisms use the same kind of biochemical machinery. All living things share a common ancestor in the distant past and all living things are related to one another. In much the same way that we might draw a family tree of our own ancestors, we know ‘Tree of Life’ which show how all living things are related. Evolution is the process by which one species gives rise to another and the Tree of Life grows. There is often considerable confusion as to whether the concept of evolution is a theory or a fact. Actually it is both! Evolutionary theory deals with how evolution happens. This is an area of active research and new insights are constantly emerging to explain how one species gives rise to another. However, Evolution is also a fact because there is a great deal of indisputable evidence, as we will see in this talk, in support of its occurrence. What is uncertain is exactly HOW it happened? , and whether it has happened at all? So let’s start by thinking about the discovery of Evolution. Beginning in Classical times and persisting until long after the Renaissance, scientists thought species were fixed and immutable. Their reasoning was like if God’s creation was perfect from the start, why would he bother to tinker with it at a later date? However, around 1800, some scientists began think if species transmute and one of them was French scientist, Jean Baptiste de Lamarck (1744-1829). Lamarck thought that if an animal acquired a characteristic during its lifetime, it could pass it onto its offspring. One of his favourite examples was the giraffe. In his view, the giraffe got its long neck through straining to reach the leaves on high branches, and this characteristic got passed down the generations. Most scientists of his day thought that Lamarck was wrong. At that time, only a few radical thinkers like Charles Darwin’s grandfather, Erasmus, agreed that species could change over time. About the same time that these radical thinkers were discussing the transmutation (or evolution) of species, geologists like William Smith were beginning to map the rocks and fossils of Britain. Smith and others were able to show that rocks were laid down in a certain order and that the different fossils in different layers lived at different intervals of geological time. Here was clear evidence that different species had existed in the past compared with today. However, Smith did not go on to ask the question, ‘Why?’ or to consider that this might be evidence for evolution.In the early nineteenth century, Charles Darwin (1809-1882) rekindled ideas about evolution. In a sense, Evolution was in Darwin’s blood because, as we’ve already noted, his grandfather was an early supporter of the concept. From 1831-1836, Darwin toured the world on HMS Beagle as a young naturalist. He was dazzled by the amazing diversity of life, including some amazing fossils such as rodents the size of hippopotamuses and started to wonder how it might have originated.On his return from the Beagle the jigsaw pieces started to fit together in his mind. Around 1842 Darwin read an essay about human population growth by Malthus. Malthus had argued that human population would grow more quickly than food supply. Consequently competition for food would become intense and only the fittest and most able would survive. 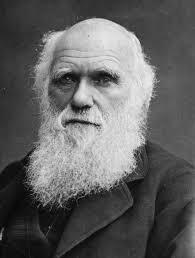 Darwin applied these ideas to all of life and came up with his now famous concept of Natural Selection. Darwin reasoned that if an organism possessed a character that improved its chances of survival, then it would be more likely to pass on that character to the next generation. Therefore organisms would become progressively adapted to their environment, leading to the evolution of new species. Darwin published this idea in his “Origin of Species by means of Natural Selection” in 1859.However, Darwin’s concept of Evolution by Natural Selection was met with considerable controversy and debate. Although some religious fundamentalist were willing to accept Evolution, if God was allowed to guide the process, most were opposed to the idea of Evolution being driven by random competition and natural laws. However, some leading scientists did embrace Evolution. One of these was Thomas Henry Huxley (1825-1895), who became known as “Darwin’s bulldog” for his ferocious support of Darwin. On 30 June 1860, Huxley debated Evolution with Bishop Wilberforce at a British Association meeting in Oxford. In the debate, Wilberforce infamously inquired of Huxley whether it was through his grandfather or grandmother that he claimed descent from a monkey! Huxley then rose to the defence of Evolution, finishing his speech with the now legendary ‘put-down’ that he was not ashamed to have a monkey for his ancestor, but he would be ashamed to be connected with a man who used great gifts to obscure the truth! This debate saw many people come to accept Evolution. However, there was little support or enthusiasm for Darwin’s mechanism of Natural Selection. While all this was going on, an Austrian monk called Gregor Mendel (1822-1884) was carrying out important experiments that would eventually prove that Darwin’s Natural Selection was in fact correct. For seven years, Mendel cross-bred different strains of pea plants to investigate how characteristics like the colour of the flowers got passed down the generations. In a quite amazing feat, he cultivated almost thirty thousand pea plants and in doing so figured out the basic principles of, what would later become known as, Genetics. He showed that offspring received characteristics from both parents, but only the dominant characteristic was expressed. This was contrary to the prevailing view at the time that the characteristics of both parents were somehow “blended” together. Unfortunately, Mendel’s work was overlooked by scientists in the West, only coming to light long after his death.When Mendel’s work on Genetics was finally “re-discovered” in 1900, it started to make sense of evolution in a new way and stimulated renewed interest in Darwin’s work of fifty years earlier. Building on Mendel’s work, studies showed how genetic traits in a population of animals or plants could be selected by environmental pressures and how a population could become progressively adapted to its environment. However, despite becoming universally accepted by the scientific community in the early 20th century, Evolution by Natural Selection continued to meet strong opposition by certain religious groups. In 1925, the State of Tennessee, USA outlawed the teaching of Evolution completely. When one teacher, John Scopes, continued to teach evolution he was tried and found guilty in what is now infamously known as the “Scopes Monkey Trial”! This religious opposition to Evolution has continued to the present day. However, today opposition to Evolution is often more subtle. This fact is supported by an article published in latest issue of science entitled “Why many U.S. biology teachers are ‘wishy-washy’. All these people contributed to our understanding of genetic control of life processes. The central dogma of the last century is DNA RNA Proteins. These scientists gave a detailed understanding of the first part of this process DNA RNA, also known as ‘Transcription’. How are different types of RNA molecules formed inside the nucleus of a cell? They elaborated how this process is regulated by associated factors called ‘transcription factors’. 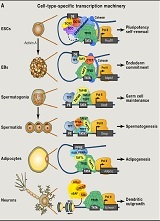 Different cell types have diverse sets of transcription factors. This information leads to an understanding of the basic process and its alteration in diseased condition. James E. Darnell,Jr He studied streptococci, penicillin and viruses. Working at Pasteur Institute, Paris, along with his first postdoctoral fellow, he developed the method called ‘hot phenol plus sodium dodecyl sulphate’ to extract complete RNA from cells. 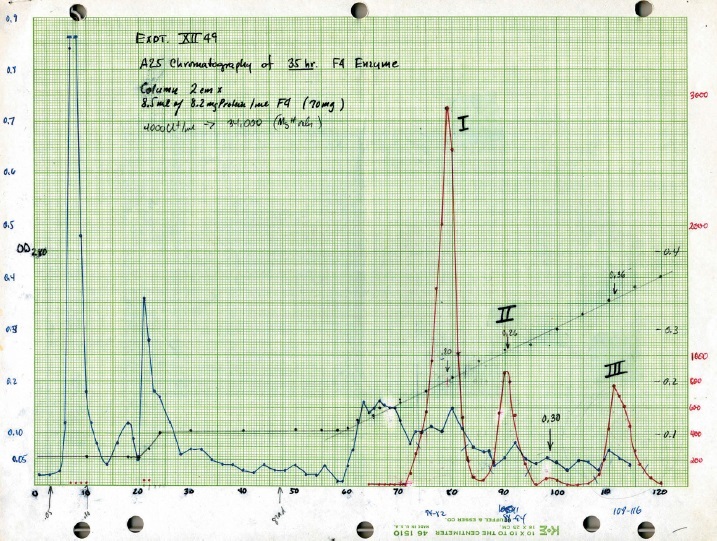 He also discovered pre-ribosomal and pre-tRNA using a labeling and sucrose gradient separation method that he invented. 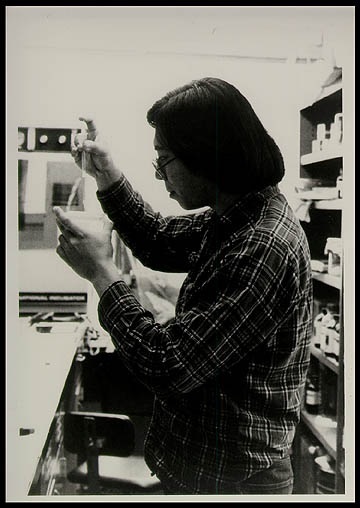 He also conducted versatile experiments on identification of cell specific m-RNAs. To understand the process of RNA editing, he carried out hybridization of m-RNA specific to SV 40 virus with RNA obtained from SV40 DNA from the nucleus of cells infected with this virus. And he found significant difference in the nucleotide lengths. So, there must be some editing after transcription and before translation. He called it ‘carpentry’. Nowadays it is known as ‘splicing’ of the transcript. He also asked ‘what are the signals cells use to express particular genes? that enter the nucleus, bind to DNA and activate transcription.STAT3 and STAT4 were discovered by two graduate students from his lab. His research showed that STAT3 is the culprit in many cancers. Molecules that block STAT3 signaling are possible therapeutics for cancers. Robert Roeder is currently Arnold and Mabel Beckman Professor, Rockefeller University, USA. He obtained his PhD in biochemistry from University of Washington, Seattle. 3) RNA Polymerase III – Synthesis of cellular 5s and t-RNARNA polymerase II is actively involved in transcription of protein coding genes. For any gene expression specific regulation of promoter is required. Other factors like initiation factors form a pre initiation complex. They sit on the promoter in a specific order for effective transcription.The DNA sequence commonly present at initiation starts with TATA and is called the TATA box. Roeder’s current work includes studies on cofactors such as multisubunit histone acetyltransferase, methyltransferase and ubiquitination complexes. These include co-activators and co-repressors involved in normal homeostasis and also in malignancies, DNA damage responses etc. He is currently working on the relationship between cofactors and co-activators that determine cell fate. Robert Tjian is currently Professor of Biochemistry, Biophysics, and Structural Biology, Department of Molecular and Cell Biology, UCB and President, HHMI, Chevy Chase, MD USA. He obtained his Ph.D. from Harvard University and postdoctoral fellowship at the Cold Spring Harbor Laboratory (CSHL) with James Watson. He received the prestigious General Motors Cancer Research Foundation’s Alfred P. Sloan Prize. He was the director of the Berkeley Stem Cell Center. He also co-founded a biotech company ‘Tularik’, which was sold to ‘Amgen’. 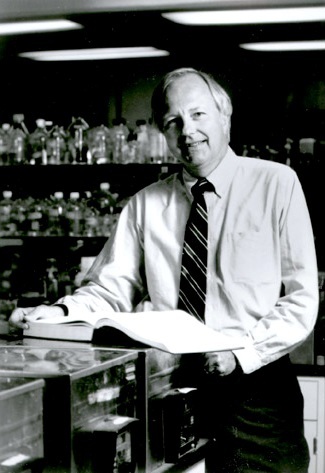 His interest led him to study biochemistry of gene transcription. 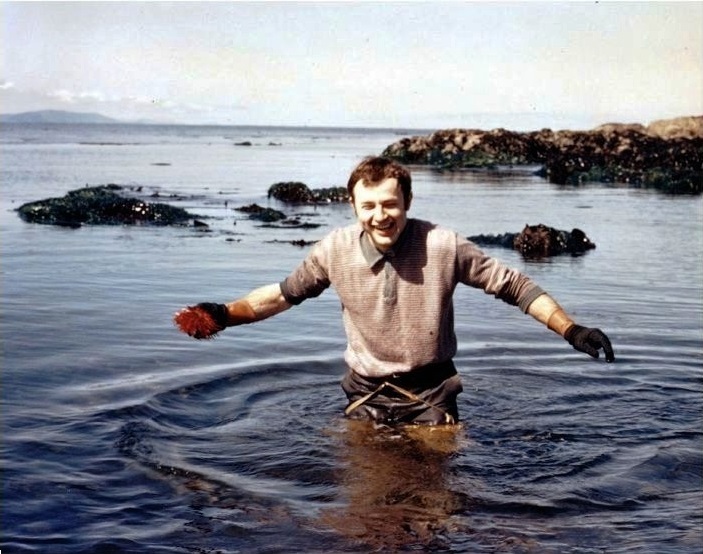 He used special approaches such as ‘in vitro biochemistry and in vivo genetics’. We know that only three percent of the human genome is coding and the rest is non-coding. But three percent of the human genome is very huge and contains a large number of genes. During transcription, RNA polymerase cannot discriminate between coding and non-coding genes. He discovered the genes that code for transcription factors. He further gave us a glimpse of the process in which transcription factors regulate gene expression in a cell type specific manner (e.g. embryonic stem cell (ESCs) differentiation).Alteration of transcription factor assembly results in a diseased condition. the relationship between regulation of gene expression and organism complexity by using whole genome sequencing tool. He also classified cellular identity based on promoters, enhancers and transcription factors placed in a particular arrangement. Darnell, Roeder and Tjian contributed largely to the basic understandings of gene expression.